The main objective of this report is to find and analyze the Procedure for Distributing Loans and Advance of Dhaka Bank Limited, approval and monitoring process of Local office. It will also include gathering an idea about the securities behind the loan facilities and issuing different bank guarantees. Other objectives are identify the loan recovery performances and find out the deposit utilization problems. Finally find out the implementation of the credit risk grading manual of Bangladesh bank by the selected banks. The general objective of the report is to complete the internship. As per requirement of MBA program of Chittagong University, a student need to work in a business organization for two months to acquire practical knowledge about real business operations of a company. To access the credit structure of banks in practice. To measure the effectiveness of the selected banks in utilization of their available deposit and resources. To identify the relationship with their customers. To identify the loan recovery performances of the selected banks. To find out the deposit utilization problems. To find out the implementation of credit risk management policy of the selected banks. To find out the implementation of the credit risk grading manual of Bangladesh bank by the selected banks. To find out the unsound credit according to the credit risk management policy. Credit rating report of DBL by credit rating information & services limited. Some of my course elements as related to this report. 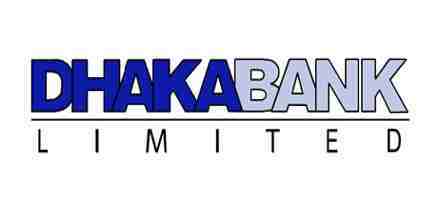 DHAKA BANK LIMITED was incorporated as a public limited Company on 6th April 1995 under the company act. 1994 and started it’s commercial operation on June 05, 1995 as a private sector bank. The bank started its journey with an authorized capital of Tk. 1,000.00 million and paid up capital of Tk. 100.00 million. The strength of a bank depends on its management team. The Employer in Dhaka Bank is proud to have a team of highly motivated, well-educated and experienced executives who have been contributing substantially in the continued progress of the bank. The marketing activities at the Dhaka Bank are very implicit and vast comparing to that of other bank in the country today. The Philosophy of the bank is “EXCELENCE IN BANKING”. Dhaka Bank is always willing to offer new product features to the client. Besides the applications of these products or services are prepared in a very modern way so that the service can be provided in least time required. The Credit facilities approved by Dhaka Bank are increasing day by day because of its well-organized and trained management and also well-equipped facilities. In recent time banking sector becomes very competitive and without giving good and attractive facilities and service no bank can survive in this time. Dhaka Bank is also trying to provide good service to keep going with this competition. To be the premier financial institution in the country providing high quality products & services backed by latest technology and a team of highly motivated personnel to deliver Excellence in Banking. At Dhaka Bank, we draw our inspiration from the distant stars. Our term is committed to assure a standard that6 makes every banking transaction a pleasurable experience. Our endeavor is to offer you razor sharp sparkle through accuracy, reliability, timely delivery, cutting edge technology, and tailored solution for business needs, global reach in trade and commerce and high yield on your investments. The paid up capital of Dhaka Bank Limited amounted to Tk. 1,547 million as on December 31, 2008 which was Tk. 100 million when the Bank started its operation. The total equity (capital and reserves) of the Bank as on December 31, 2008 stood at Tk. 3125 million. A strong deposit base is critical for success of a bank. During the years the Bank has mobilized a substantial amount in deposits in transactional and savings account. The deposit base of the bank continued to register a steady growth and stood at Tk. 48,731 million excluding call as of 31 December 2008 compared to Tk. 41,554 million of the previous year registered a 17% growth. Dhaka Bank has diversified its investment portfolio through Lease Financing, Hire Purchase, and Capital Market Operations besides the investment in treasury bills and Prize Bonds. The emphasis on high quality investment has ensured the bank to maximize its profit. Dhaka Bank Limited is a member of the Dhaka Stock Exchange and Chittagong Stock Exchange. A specialized unit of the Bank, the Investment Division manages the Bank’s portfolio and actively participates in the screen-based on-line trading of both the Stock Exchanges. Dhaka Bank Limited registered an operating profit of Tk. 2,010 million in 2008 compared to Tk. 1,183 million in 2007 making a growth of 70%. After all provisions including general provisions on unclassified loans, profit before tax stood at Tk. 1,531 million. Provision for tax for the year 2008 amounted to Tk. 827 million. The net profit of the bank as on 31 December 2008 stood at Tk. 704 million compared to previous year’s Tk. 580 million making growth of 21%. Earning per share (EPS) was Tk. 46.06 in 2007 compared to Tk. 45.17 in 2007. The Bank implemented the system of credit risk assessment and lending procedures by stricter separation of responsibilities between risk assessment, lending decisions and monitoring functions to improve the quality and soundness of loan portfolio. The Bank recorded a 17 % growth in advances with a local loans and advances portfolio of Tk. 39,972 million at the end of December 2008 compared to Tk. 34049 million at the end of December 2007. As of 31 December 2008, 96.85 % of the total Bank’s loan portfolio was regular while only 3.15 % of the total portfolio was non-performing as compared to 1.64 % of 2007. Bank made required provision as on 31 December against performing loans as per rate and classification norm provided by Bangladesh Bank (se note-2c). The volume of non-performing loans stood at Tk. 1,258 million in 2008 from Tk. 554 million in 2007. Of the total loan provision of Tk. 904 million, Tk. 465 million was general provision, which was 51 % of total provision. The rest Tk. 439 million was against the classified accounts. A wide range of business industries and sectors constitutes the Bank’s advance portfolio. Major sectors where the Bank extended credit include steel and engineering, ship breaking, edible oil, sugar, housing and construction, pharmaceuticals, chemicals, electronic and automobiles, energy and power, service industries, trade finance, personal or consumer credit, leasing etc. The Bank continued to support Small and Medium Enterprises (SME) and expended credit facilities to them through its SME Cell. Sector wise allocation of advances reveals a well-diversified portfolio of the Bank with balance exposure in different sectors. High concentration sectors are textile and garment industries with outstanding of Tk. 7,524 million, housing and construction with Tk. 4,093 million, food and allied industries with Tk. 2,949 million and engineering and metal including ship braking with Tk. 1,903 million as at 31 December 2008. Customer is in the core of everything a service-oriented company does. Accuracy, reliability, and timely delivery are the key elements of the Dhaka Bank’s service. Well-qualified and experienced officials always prepared to provide efficient, personalized and quality service man Dhaka Bank Limited. The banks prime objective is to provide high quality product and services to the customers. The bank also performs according to the needs of its corporate clients and provides a comprehensive range of financial services to national and multinational companies. International trade constituted the major business activity conducted by the bank. Dhaka Bank offer a full range of trade finance services, namely, Issue, Advising and Confirmation of documentary Credits; arranging forward Exchange cover; Pre-shipment and post- shipment finance; Negotiation and purchase of Export bill; Discounting of bills of Exchange, Collection of bills etc. In the year 2008, Dhaka Bank Limited was active in extending services to their valued clients related with import business. As of 31st December 2008 the import volume was Tk. 49,496 million compared to the volume of 2006 for Tk. 46,277 million marking as increase of 7% from the last year. Dhaka Bank Limited experienced sound growth of export business in 2007 from 2006. The volume of export business rose to Tk. 31,081 million from Tk. 23,269 million in 2007 showing an increase of 34%. Dhaka Bank has opened already 41 branches in different Cities, Places and areas in Dhaka and also in Chittagong, Sylhet, Narayangonj, Norshingdi and Savar. This shows the banks commitment to provide services to their valued customers through an extensive branch network at all commercially important places across the country. They also have planned to open more branches in the sort coming year. These branches are well decorated and well secured with the new technologies. The driving force behind Dhaka Bank has always its employees. The bank recognizes that professional development of its people is vital to establishing workers as a provider of quality service. In this regard, the bank have expanded its training facilities and set up a full-fledged training institute at Sara Tower, Motijheel, Dhaka. The Bank’s Environmental Management Program stipulates adherence with environmental, health and safety regulations and guidelines, refraining from business that impairs the ability of future generations to meet their own needs, assessing an mitigating risks concerning environment, health and safety issues that the bank undertake. The Bank extends assistance to socio-cultural and community development programs. During the years under review, the Bank had provided support to a number of community welfare programs. At present Dhaka Bank assist the National Hokey Federation. Accounts: Dhaka Bank provides the Savings Account; Current Account; Short Term Deposit; Fixed Deposit Receipt etc. for the customers. ATM (Automated Teller Machine): Dhaka Bank ATM Cards enable their valued customers to carry out a variety of banking transactions 24 hours a day. Credit Cards: Dhaka Bank Credit Card has earned wide acceptability and reputation within a very short time. The Bank has developed the process such that it can deliver the Credit Card within only 7 days against security; for unsecured cards it takes only 10 days. Phone banking: Dhaka Bank phone banking service allows customers to conduct a variety of transactions by simply making a phone from anywhere. Customers can inquire about the balance in their account, check transaction details or request for account statement by fax or e-mail. Locker: By this facility customers can put their valuable things such as jewelry items, valuable papers etc. for the safety reason. Consumer Credit: Dhaka Bank also provides consumer credit facilities with very attractive terms and conditions. Any Branch Banking: By this customers can transact from any branch insight the country. Utility Bill Payment: Customers can pay different utility bill such as phone bill, credit card bill etc. In general, a banking system aggregates a high number of low value deposits to fund enterprises with a smaller number of high value loans. This intermediation through a well functioning bank helps to achieve some economic benefits for the depositors, the borrowers and above all — the economy in the following ways. Thus profitable enterprises receive funding, grow and expand. Loss making enterprises are refused funding and allowed to go out of the business – thus saving the economy from drainage of resources. Banks are able to identify reliably those enterprises that can repay their loans. Banks allows loans to those enterprises likely to yield high return and deny loan to those likely to yield low or negative returns. While identifying profitable enterprises, the bank – in fact – identifies risks of the borrower and business in order to allow loan in the context of its risk – return profile. Procedure – evaluating viability and associate risks of business enterprises. A clear understanding of the four areas are crucial for maximizing bank’s earning by carefully evaluating credit risks and attempting to minimize those risks. b) Arresting new loans to become classified. 3) Utmost emphasis on loan sanctioning is to be given in order to improve quality of the loan portfolio. Credit facilities are to be considered solely on viability of business / enterprises / project / undertaking having adequate cash flows to adjust the loans, and management capacity of the borrower to run the business profitably. 4) Evaluate credit risks before sanctioning, which may hamper generation of the projected cash flows of the borrower and might delay or hinder repayment of bank’s loan. 5) Monitoring continuously performances of the financed projects / business / enterprises will be bank’s main trust for ensuring repayment of the loan, and receiving early warning (EL) for taking timely corrective measures. 6) Price the loans on the basis of loan pricing module of the bank focusing on risk rating of the borrower. As the very purpose bank’s credit strategy is to determine the risk appetite of the bank, so bank’s focus should be to maintain a credit portfolio to keeping in mind of our risk absorbing capacity. Thus its strategy will be invigoration loan processing steps including identifying, measuring, containing risks as well as maintaining a balance portfolio through minimizing loan concentration, encouraging loan diversification, expanding product range, streamlining security, insurance etc. as buffer against unexpected cash flow. The total credit facilities by a bank to any single person or enterprise or organization of a group shall not any point of time exceed 35% of the bank’s total capital subject to the condition that the maximum outstanding against fund based financing facilities (fund facilities) shall not exceed 15% of the total capital. Loan sanctioned to any individual or enterprise or any organization of a group amounting to 10% or more of bank’s total capital shall be considered as large loan. In order to determine the above maximum ceiling for large loans, all non-funded credit facilities e.g. letter of credit, guarantee etc. shall also be considered to arrive 50% credit equivalent. However the entire amount of non-funded credit facilities shall be included while determining the total credit facilities provided to an individual or an enterprise or an organization or a group. A Public Limited Company, which has 50% or more public share holdings, shall not be considered as an enterprise / organization of any group. In the case of loans backed by cash and excusable securities (e.g. FDR), the actual lending facilities shall be determined by deducting the amount of such securities from the outstanding balance of the loans. Banks shall collect the information to the borrowers from Credit Information Bureau (CIB) of Bangladesh Bank before sanctioning, renewing or rescheduling loans to ensure that credit facilities are not provided to defaulters. Banks shall perform Lending Risk Analysis (LRA) before sanctioning or renewing large loans. If the rating of an LRA turns to be “marginal”, a bank shall not sanction large loan, but it can consider renewal of an existing large loan taking into account other favorable conditions and factors. However, if the result of an LRA is unsatisfactory, neither sanction nor renewal of large loans shall be considered. While sanctioning or renewing large loan, a bank shall assess borrower’s overall debt repayment capacity taking into consideration the borrower’s liabilities with other banks and financial institutions. Like large volume of loan, long term financing is one of the riskiest areas of the bank because of long duration of repayment. Long duration casts uncertainties on repayment as variable with which financial and other projections are made very widely in a dynamic global economic scenario. Due diligence is to be exercised for accessing viability of the projects in terms of Management ability, Market gap, Technical suitability, Financial viability. Minimum information for project viability analysis is to be given. Syndication means joint financing by more than one bank to the same clients against a common security basically, to spread the risk. It also provides a scope for an independent evaluation of risk and focused monitoring by the agent / lead bank. Maximum 50% of Bank’s total capital for export sector. (Funded facility shall also not exceed 15% of bank’s total capital). Margin: To be determined by Banker Customer relationship and nature of business. Security: Return of Banks funding to any business is ensured primarily on the cash flow of the business. A smooth flow of cash in the business requires efficient management competence in conducting the business in a given market. However as the market never remains stable owing to various uncontrollable factors, the continuity of well-managed business cash flow is difficult to visualize in the long run. As such to ensure realization of Banks finance in case of any eventuality, other adequate security coverage deemed necessary with a view to protects interest of the bank. In case of partnership firm there must be a partnership deed duly notarized / registered. Limited Company must be registered with the Registrar of Joint Stock Company. Directors and other loans will be subordinated to Dhaka Banks loan. Directors loan (if any) will be interest free and no dividend will be declared/paid before full adjustment of Term Loan of Dhaka Bank. The borrower shall submit annual audited/un-audited/projected financial statements regularly where applicable. The borrower shall maintain current ratio of not less than 1.5 times.. The borrower shall obtain and maintain in full force and effect all Government of Bangladesh (GOB) authorizations, licenses and permits required to implement and operate Borrowers business. The borrower shall maintain all insurance as detailed in Loan Documents. The borrower shall maintain satisfactory swing/turnover of the limit in case of continuous loans/advance. The borrower shall pay all fees , duties , taxes etc, that are due to the Government of Bangladesh (except where waivers or deferrals have been granted by Government of Bangladesh) when due. The borrower shall not create any charge, mortgage or any encumbrances of any other security interest over any of its assets without the prior written consent of the Bank. The borrower shall not avail any credit facility from other source without the prior written consent of the bank. The borrower shall not make any amendment/alteration in the Company’s Memorandum & Articles of Association without obtaining prior approval of Dhaka Bank Ltd in writing. The borrower shall not furnish any corporate guarantee to other firm/company without Banks permission. Breach of Covenants of the loan agreement. Bankruptcy or liquidation or insolvency event affecting the Borrower. Occurrence of a material adverse change in the financial position of the Borrower. Any security interest over any asset of the Borrower becomes enforceable or any execution or distress is levied against or any person is entitled to or does take possession of the whole or any part of the assets or undertakings. A thorough credit and risk assessment is to be conducted prior to the granting of loans, and at least annually thereafter for all facilities. The results of this assessment shall be present in a Credit appraisal that originates from the Relationship Manager/Accounts Officer (RM) and approved by Credit Risk Management (CRM). The RMs should be the owner of the customer relationship, and will be held responsible to ensure the accuracy of the entire credit application submitted for approval. RMs shall follow the Banks lending guidelines and shall consult dur diligence on new borrowers, principals and guarantors. It is essential that RMs know their customers and conduct dur diligence on new borrowers. Principals and guarantors to ensure such parties are in fact who they represent themselves to be. The RMs shall adhere to the Banks established Know Your Customer (KYC) and Money laundering guideline at all times. Borrower Analysis: The majority shareholders , management team and group of affiliate companies shall be assessed, Any issue regarding lack of Management depth, complicated ownership structures of inter group transactions shall be addressed, and risk mitigated. Industry Analysis: The key risk factors of the borrowers industry shall be assessed. Any issues regarding the borrower’s position in the industry, overall industry concerns or co9mpetitive forces shall be addressed and the strengths and weaknesses of the borrower relative to its competitor shall be identified. Supplier/buyer Analysis: Any customer or supplier concentrating shall be addressed, as these will have a significant impact on the future viability of the borrower. Projected Financial Performance: Where term facilities (tenor.1 year) are being proposed, a projection of the borrowers future financial performance should be provided, indicating an analysis of the sufficiency of cash flow to service debt repayments. Loans should not be granted if projected cash flow is insufficient to repay debts. Adherence to lending Guidelines: Credit applications should clearly state whether or not the proposed applications in compliance with the Banks lending Guidelines. The Banks Head of Credit or Managing Director will approve Credit Applications that do not adhere to the banks lending guidelines. Mitigating Factors: Mitigating factors for risk identified in the credit assessment should be identified. Possible risks include, but are not limited to merging sustainability and/or volatility, high debt load (leverage/gearing), overstocking or debtor issues, rapid growth, acquisition or expansion new business line/product expansion, management changes or succession issues customer or supplier concentrations and lack of transparency or industry issues. Loan Structure: The amount and tenors of financing proposed should be justified based on the projected repayment ability and loan purpose. Excessive tenor or amount relative to business needs lead to increase the risk of fund diversion and may adversely impact the borrower’s repayment ability. Security: A current valuation of collateral should be obtained and the quality and priority of security being proposed should be assessed. Loan should not be granted based solely on security. Adequacy and the extended of the insurance coverage should be assessed. Name Lending: Credit proposals should not be unduly influenced by an over reliance on the sponsoring principals reputation, reported independent means or their perceived willingness to inject funds into various business enterprises in case of need. These situations should be discouraged and treated with great caution. Rather, credit proposals and the granting of loans should be based on sound fundamentals, supported by a thorough financial and risk analysis. Credit approval authority is delegated in writing from the MD & Board. The credit approval function is separate from the marketing/ relationship management (RM) function. The role of credit committee is restricted to only review of proposals i.e. recommendations. Approvals shall be evidenced in writing or by electronic signature. Executives within the authority limit delegated to them by the MD authorize all credit risks. Credit approval is centralized within the CRM function. The Board/Managing Director/Deputy Managing Director/Head of Credit/Delegated Head Office Credit Executive shall approve all large loans. The Managing Director delegates authority to each individual in writing. All the officials in different ranks their delegated authority for conducting day to day business of the bank judiciously prudently abiding by the directives, circulars, standing instructions/order issued by the bank and or Bangladesh Bank from time to time and conforming to the credit policy of the Bank. The Managing Director has the right to exercise lending authority delegated to other executives having authority lower than him. The Managing Director is authorized to sub-delegate his business discretionary authority, if deemed necessary. The Managing Director further has the right to suspend/and or withdraws either partially or fully the business discretionary authority delegated to any sub-ordinate officials. Once the credit facility is granted to any individual/group by business power delegated to higher authority, exercise of lower authority by the subordinate will automatically stand ceased for the same individual/group. A monthly summary of all new facilities approved, renewed, enhanced and a list of proposals declined stating reasons thereof reported by CRM to MD. The credit risk is managed by the CRM Division, which is completely segregated from business / sales. The following elements contribute to the management of credit risk. Loans will be given only after proper verification of customer’s static data and after proper assessment & confirmation of income related documents, which will objectively ascertain customer’s repayment capacity. Proposals will be assessed by CRM Division completely separated from business / sales. Every loan will be secured by hypothecation over the asset financed, and customer’s authority taken for re-possession of the asset in case of loan loss. There will be dedicated ‘collection’ force that will ensure timely monitoring of loan repayment and its follow up. Contact Point Verification should be done whenever possible for all applicants. The external CPV includes residence, office and telephone verifications. In case of third party deposits/ security instruments, banks should verify third party’s signature against the specimen attached to the original instrument and bank will also send the instrument to the issuing office for their verification and written conformation on lien marking and encashment of the instrument. The applicant’s signature may not be verified for authenticity. However, the applicant’s identity should be confirmed by way of scrutiny of identification and other documentation. There always remains the possibility of application fraud by way of producing forged documents. However, bank should be aware of this threat. This risk should be managed and the position monitored by the Asset Liability Committee headed by the Managing Director of the bank. Political and economical environment of a country play a big role behind the success of business. The Banks should always keep a close watch in these areas so that it is able to position it self in the backdrop of any changes in country’s political and economical scenario. For SEF, the activities of front line sales and behind-the-scene maintenance and support are clearly segregated. Credit & Collections Unit (CCU) will be formed. Type ‘a’ jobs & type ‘b’ jobs will be handled by separate teams within CCU; therefore the risk of compromise with loan / security documentation will be minimal. CCU or Operations Unit will hold the applications and other documents related to SE loans in safe custody. All this documents will go under single credit file per customer. The physical securities and the security documents will be held elsewhere inside fireproof cabinets under CCU’s or Operation’s custody. Audits should be carried out on a regular or periodically to assess various risks and possible weaknesses and to ensure compliance with regulatory guidelines, internal procedures, and Credit Risk Management Policy Guidelines and Bangladesh Bank requirements. Banks loan portfolio should be subject to a continuous process of monitoring. This will be achieved by regular generation of over limit and overdue reports, showing where facilities are being exceeded and where payments of interest and repayment of principle are late. There should be formal procedures and a system in place to identify potential credit losses and remedial actions has to be taken to prevent the losses. The collection process for SE loans start when the borrower has failed to meet one or more contractual payment (installment). It therefore, becomes the duty of the Collection Department to minimize the outstanding delinquent receivable and credit losses. This procedure has been designed to enable the collection staff to systematically recover the dues and identify / prevent potential losses. The collector’s responsibility will commence from the time an account becomes delinquent until it is regularized by means of payment or closed with full payment amount collected. The goal of the collection process is to obtain payments promptly while minimizing collection expense and write-off costs. Any declined credit may be re-presented to the next higher authority for reassessment /approval through HOCB. However, there should be no appeal process beyond the Managing Director. The Credit Administration function is critical in ensuring that prope4r documentation and approvals are in place prior to the disbursement of loan facilities. For this reason, it is essential that the functions of Credit Administration be strictly segregated from Relationship Management/Marketing in order to avoid the possibility of controls being compromised or issues no being highlighted at the appropriate level. Security documents are prepared in accordance with approval terms and are legally enforceable. Bank’s standard loan facility documentation reviewed by legal counsel are used in all cases. Disbursements under loan facilities are only to be made when all security documentation is in place. CIB report should reflect/include the name of all the lenders with facility, limit & outstanding. All formalities regarding large loans & loans to Directors should be guided by Bangladesh Bank circulars & related section of Banking Companies Act. All Credit Approval terms have been met. Storage of security documents are maintained at the branch jointly by two authorized officers within RM Team. Security documentation to be held under strict control, preferably in locked fireproof iron-safe at branches under dual custody. Ensure all excess & exceptions are approved from the appropriate credit discretion level. All required Bangladesh Bank returns are to be submitted in the correct format in a timely manner. Bangladesh Bank circulars/regulations are to be maintained and advised to all relevant departments to ensure compliance. All third party service providers (valuators, lawyers, insurers, CPAs etc.) are to be approved. List of Lawyers to be enlisted and approved and circulated accordingly. To minimized credit losses, monitoring procedures and systems are in place that provides an early indication of the deteriorating financial heath of borrower. At a minimum, systems should be in place to report the following exceptions to relevant executives in CRM and RM team. Loan terms and conditions are monitored, financial statements are received on a regular basis, and any covenant breaches or exceptions are referred to HO Credit for timely follow-up. If these weaknesses are left uncorrected, it may result in deterioration of the repayment prospects with a likely prospect of being downgraded to CG 5 or worse, within the next twelve months. Early identification, prompt reporting and proactive management of Early Alert Accounts are prime credit responsibilities of all Relationship Managers, An Early Alert report completed by the RM sent to the approving authority in CRM for any account that is showing signs of deterioration within seven days from the identification of weaknesses. If there are other concerns, such as breach of loan covenants or adverse market rumors that warrant additional caution, an Early Alert report is sent to CRM. The Recovery Division at Head Office directly manages accounts with sustained deterioration (a Risk Rating of Sub Standard (6) or worse). Account graded 4-5 transferred to the Recovery Division for efficient exit based on recommendation of CRM and Corporate Banking. Ensure adequate and timely loan loss provisions are made base o-n actual and expected losses. All Non Performing loans are assigned to an Account Manager. Within the recovery Division, for coordinating and administrating the action plan/recovery of the accounts, and should serve as the primary customer contact after the account is downgraded to substandard. Facilities are withdrawn or repayment is demanded as appropriate. Any drawings or advances should be restricted, and only approved after careful scrutiny and approval from HO Credit. On a quarterly basis, a Classified Loan Review (CLR) is prepared by Recovery Division Account Mangers to update the status of the action/ recovery plan, review and assess the adequacy of provisions, and modify the banks strategy as appropriate. The guidelines established by Bangladesh Bank for CIB reporting, provisioning and write off of bad and doubtful debts and suspension of interest are followed in all cases. Provisions are raised against the actual and expected losses at the time they are estimated. The approval to take provisions, write offs, or release of provisions/upgrade of an account are restricted to MD/ Board. The Recovery Division Account Manager determines the Force Sale Value (FSV) for accounts grade 6 or worse. Force Sale Value is generally the amount that is expected to be realized through the liquidation of collateral held as security. Any shortfall of the Force Sale Value compared to total loan outstanding is fully provided when an account is downgraded to grade 7. The consumer finance facilities extended by banks to their directors, major shareholders, employees and family members of these persons shall be based on normal terms and conditions applicable for other customers of the banks. Banks shall ensure that the aggregate exposure under all consumers financing facilities at the end of first year and second year of the start of their consumer financing does not exceed 2 times and 4 times of their equity respectively. For subsequent years, following limits are placed n the total consumer financing facilities. While extending financing facilities to their customer, the banks would ensure that the total installment of the loans extended by the financial institutions is commensurate with the take home income/disposable income and repayment capacity of the borrower. Banks shall observe the prudential guidelines for classification of their Consumer Finance portfolio and provisioning there-against. In addition to the time-based criteria, subjective evaluation of performing and non-performing credit portfolio shall be made for risk assessment and, where considered necessary, any account including the performing account will be classified. Apart from specific provisioning requirement banks shall maintain a general reserve at least equivalent to 5% of their unclassified consumer finance portfolio to protect them from the risks. Bank shall submit the borrower –wise annual statements regarding classified loans/advances to the Banking inspection Department. Banks shall review, at least on a quarterly basis, the collectibles of their loans/advances portfolio and shall property document the evaluations so made. Rescheduling of loan will be governed by rules & regulations as prescribed by Bangladesh Bank from time to time. The bank shall not transfer any loan or facility to be classified from one category of consumer finance to another to avoid classification. While considering proposals for any exposure, banks should give due weight age to the credit report relating to the borrower and his group obtained from Credit information Bureau (CIB) of Bangladesh Bank. The banks should take reasonable steps to satisfy themselves that cardholders have received the card, whether personally or by mail. Banks shall provide the credit card holders with the statements of account at monthly intervals. Banks shall be liable for all transactions not authorized by the credit card holders after they have been properly served with a notice that the card have been lost/ stolen. Banks should take into account the partial payment before charging service fee/ mark-up amount on the outstanding/-billed amount. Due date for payment must be specifically mentioned on the accounts statement. Maximum unsecured limit under credit card to a borrower (supplementary cards shall be considered part of the principal borrower) shall not exceed Tk. 500,000/-, provided the excess amount is secured appropriately. However, in no case the limit will be allowed to exceed Tk. 2 million. The maximum tenure of the auto loan finance shall not exceed six-year. The banks shall not allow auto loan (including insurance) exceeding Tk. 2 million per individual under this head. While allowing auto loans, the banks shall ensure that the minimum down payment does not fall below 10% of the value of vehicle. In addition to any other security arrangement, the vehicles financed by the banks shall be properly secured by way of hypothecation. The banks shall ensure that the vehicle remains properly insured (comprehensive) at all times during the tenure of the loan. The clause of repossessions in case of default should be clearly stated in the loan agreement. At least 15 days before enforcing repossessions, banks shall send a legal notice to the borrower. A detailed repayment schedule should be provided to the borrower at the outset. Where alterations become imminent because of late payment or prepayment and the installment amount or period changes significantly, the revised schedule should be provided to the borrower at earliest convenience of the bank but not later than 15 days of the change. The banks shall prepare uniform guidelines for determining value of the used vehicles. In no case the bank shall finance the cars older than 5 year. Banks should ensure that a good number of authorized auto dealers are placed at their panel to eliminate unethical practices. However, if the clients choose to purchase car from seller not included in the list, they are free to do so provided that the price is considered reasonable by the bank. The maximum per party limit in respect of housing finance by the banks will be Tk. 7.5 million. The housing finance facility shall be provided at a maximum debt equity ratio of 80:20. Housing Finance for real estate business and commercial complex such as super market and shopping mall etc. shall be excluded from the consumer finance category. Loan exposure under housing finance category should not exceed 10% of the bank’s total loan portfolio. Banks are free to extend mortgage loans for housing, for a period not exceeding twenty year. The house financed by the banks shall be mortgaged in bank’s favor by way of registered mortgage with registered Power of Attorney. Banks shall engage professional staff or arrange sufficient training for their concerned officials evaluate the property, assess the genuineness and integrity of the title documents, etc. The bank’s management should put in place a mechanism to monitor conditions in the real estate market (or other product market) to ensure that its policies are aligned to current market conditions. Banks must develop floating rate products for extending housing finance, thereby managing interest rate risk to avoid its adverse effects. Banks also must develop in-house system to stress test their housing portfolio against adverse movements in interest rates as also maturity mismatches. Limits per person for such loans will be Tk. 3 lac without any securities. However, banks may lend higher amounts provided the loans are secured appropriately. But, in no case, the loan amount will be allowed to exceed Tk. 10 lac. The loan secured against liquid securities shall be exempt from this limit. Where the loan has been extended to purchase some durable goods, the same will be hypothecated with the bank besides other securities. The maximum tenure of the loan shall not exceed 5 year. From the above information it is visible that the Banks credit facility in different sector is increase very rapidly. They do not want to provide any loans in the agricultural sector. The reasons behind this kind of decision are that still the agriculture in Bangladesh depends on the weather and other natural conditions. So, it creates an uncertainty whether the production of crops will be good or not. One rain can damage the paddy when it is the time to cut. So, the Bank thinks that financing in this sector may be very risky and return from the loan may not be good. Another reason is Dhaka Bank is operating its activities in the urban society and they still didn’t spread their activities to the rural areas. Still, they provided credit facility in a fishery firm for developing fish cultivation. On the other hand, the Bank provided the highest credit facilities in short-term loans, transport loans house building loans, secured overdraft etc. Because these sectors proves to be very profitable and less risky. The Bank also gives loan long-term loans but in a very limited amount because this facility is sanctioned for a long period. The above analysis gives a clear idea about the credit sanctioned in different sectors, which were defined, by the bank. The overall outstanding of the loans increases gradually in the past few years. So, the overall outstanding or amount of loan provided is quite good. From the recovery status it is clearly found that the overall recovery in different sectors increases in different years. But the highest recovery came in past few years from Working Capital, Import sector and Others, which includes transport loan, staff loan, secured overdraft, loan against trust receipt etc. Because most of these loans are of small amount and short-term. From the above information, one interesting finding is that sometimes the recovery amount became higher than the outstanding amount. Though it looks quite odd but it has some reasons. Suppose in a year a sector got some amount of loans (say 1 crore) and waiting for the recovery. Again the bank provide loan facility to a company in the same sector (say 5 crore), but this time the full amount is recovered in a very short period and the first one is still not recovered. For this, here the calculation showed the outstanding remains 1 crore but the recovery amount became 5crore. So, in this case the recovery amount exceeds the outstanding amount. Prior and Neglected Sectors: From the above findings of the credit facilities in different sectors, it seems that the bank provided most of the credit facilities in the large loans basically for long terms and also gave some personal loans too. Their main focus on these sectors because of high profitability and security. But if one of the clients fails to repay the loan then the bank will be in serious trouble. On the other hand, the bank just avoided the agricultural sectors showing reason that the sector is very risky because still our agriculture depends much on weather and also the technology is not of high quality. According to the bank, Recovery from this sector is also not very good. Recovery Status: Above findings shows that the bank’s overall recoveries in different sectors are very encourage able. But recovery from the working capital & import sector and from transport loans, staff loans, and secured overdrafts etc. sector is much higher than the large loan and other sectors. Because most of them are short-term loans. The existing loan process of Dhaka Bank for sanction a loan is time consuming. But a customer wants less time. No direct communication between Customer and Head Office. No direct communication between Branch office and Bangladesh Bank. To get proper information regarding the customer is quite difficult. To get actual value of the proposed mortgage property is quite hard. Third party mortgage is quite sensitive. Difficult to identify the physical position of the proposed mortgage property. Some time the customer took the sanction letter from the branch office and shows it to the other bank to get more credit facility, for this reason the customer may become as classified. The loan process is mainly based on manual work. Monitoring the Borrower is difficult. Sometimes bankers don’t go through the financial figures properly. Most of the cases clients have done some financial jugulating on their data. Sometimes bank don’t take appropriate security from the client or guarantor. Sometimes bank don’t put concentration about the insurance. Most of the cases the bankers fail to forecast the future business condition of the clients. Sometimes borrower talks about some other repayment source out of the proposed project but they don’t keep the source as security to the bank. Sometimes other than land or building banks also keep furniture and machinery as security. Later on when bank come to sell those, they found that the market value of those assets is much lesser than the book value. Clients over confidence about the project. Change in National and International Political scenery. Credit policy is a very convenient banking tool for the business world. The value of this service is immense. It has gathered such a position in the banking sectors that people at developed and also developing counties are very much depended on this service. In Bangladesh credit facilities or loans started to become very attractive in recent periods. But still lots improvements in services and facilities have to be made in this department. The study of the report refers to the fact that people are aware of loan facilities in our country but they are not fully aware of the services or features of the loan process and its rules and regulations especially in case of individual or consumer loans. From the study it seems that Dhaka Bank focuses on the corporate sectors for the credit facility. But in case of consumer loans there are lots of restrictions created by the bank. Credit Division of Dhaka Bank, Local Office has a very qualified and dedicated group of officers and staffs who are always trying to provide the best service to the clients. They always monitor the credit in different sectors and their position. Before providing the loan they analyze whether the loan will be profitable and whether the client is good enough to repay the loan within the given period of time. Credit department diversified their loans in different sectors classified by them. Among the sectors they don’t provide any loans in the agricultural side. The reason they showed is that this sector is very risky and depends on natural climate and they still didn’t expand their service in the rural side. They also didn’t provide any loan in the small & cottage industry. The reason is that the return from this sector is not very good and also the sector is very uncertain. They provide most of the credit facility in term loan mainly in long-term loans. Return from short-term loan is very good and also proves to be very safe to finance. So, from the report and also from my short experience it seems that the credit management and performance of Dhaka Bank is quit good and acceptable though it is a second-generation bank and established in 1995. There credit approval and monitoring process and its performance increased very rapidly and still trying their best to improve more and more. So, within a very short period they earned the respect and acceptance from the customers and now it is one of the leading private commercial bank of the country.